TAG was started by a group of villagers representing the concerns of residents in the Twemlow, Goostrey, Cranage and Holmes Chapel area who were faced with an industrial scale Anaerobic Digester (AD) and Combined Heat and Power Plant on their doorstep. They wished to protect their environment against the effects of bringing 47,000 tonnes (over 51,000 tons) of predominantly waste food with slurry, chicken manure etc from around the county, as well as exporting over 41,000 tonnes (over 45,000 tons) of digestate. They spread the word to inform other residents and prevent the increase of large trucks and tankers as well as the potential smell and emissions that could be caused by such a plant. Despite several versions of an Odour Management Plan the Environment Agency refused the Permit in 2014 and the proposal was refused Planning Permission in August 2015. 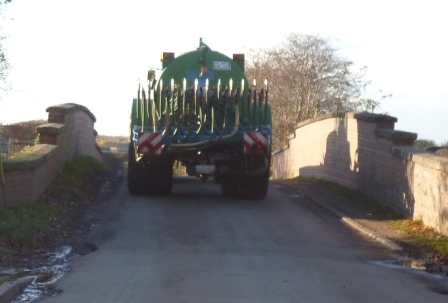 TAG was not against Anaerobic Digestion per se but power plants of that size are normally best sited away from housing (sadly not the case for Cannock residents where the Biffa AD plant caused such a stink, residents 800 metres away complained to the EA for over 18months and yet still suffer smells. Nor for residents of Rothwell, where an AD plant is sited about 700m away from the village, who reported ‘repugnant’ smells). This one would have been just too close to where families live, immediately next to the nearest house and under 800 metres from Goostrey school. Comments may still be posted on this website, which will be kept up to date with news, information and relevant developments.